The bombs bursting in air, gave proof through the night that our flag was still there. Does the Star Spangled Banner give you chills, like me? Make your heart swell, like me? Bring tears to your eyes, like mine? Make you proud to be an American? All that and so much more. It’s hopeful, full of wonder and promise, that anything is possible. Tonight, we went to the local high school to watch a fireworks display. I’m sure there were so many going on all throughout the state, and country. Felt like the entire town was at ours. 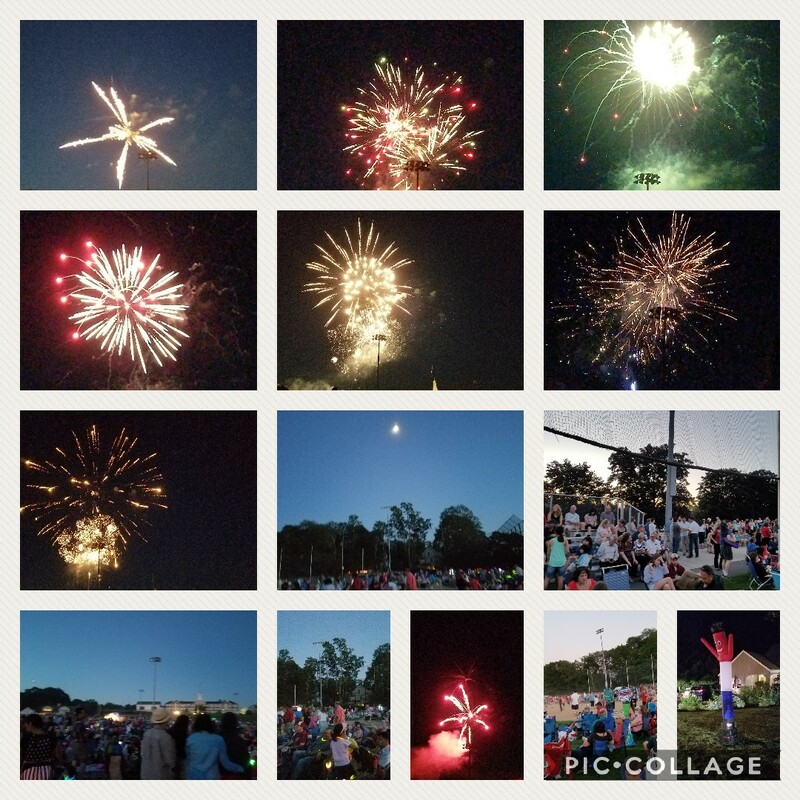 The town does a great fireworks display. You get there to set up, maybe in the early afternoon, stake your spot, chairs, blankets. Then go home and have friends over, food, drink, fun. Then about 730, start walking to the high school, find your stuff and your friends, catch up, play, collect as many glow stick pieces of jewelry as you can! About 920, you’re wondering, it’s dark enough, right? Let’s get started! And it does start, with the Star Spangled Banner. And on ‘the rockets red glare, the bombs bursting in air’ they let off fireworks, perfection! Twenty two minutes later, popping, bursting, spraying, sparkling, its all so magical and wonderful and its over. So good, they left us wanting more. Let’s start planning next year!